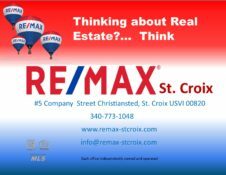 We have compiled all sorts of information about living on St. Croix; from local attractions to lenders to neighborhoods and facts about the local economy. We want to make sure you have all your questions answered and the purchase of your home or investment property is smooth and comfortable- like life on the island! Feel free to browse the links below (or use the drop down menu at the top of the page) to learn more about this slice of paradise. If you have any questions or concerns that aren’t answered here, please contact us!!! We’ll be happy to help and add more information for everyone to access!